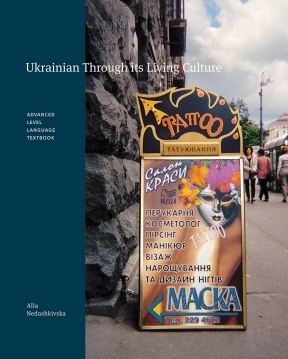 This textbook is designed to aid students in developing a working knowledge of Ukrainian for the purpose of business and professional contacts in Ukraine. Emphasis is on intensive oral and written practice, with attention to gaining professional and socio-cultural competence in Ukrainian. Activities are structured around texts (written, video and image) that a professional may encounter in Ukraine. Topics include: resume, employment and job interview process, official documentation and professional etiquette, finance and banking, and insurance. About the author: Alla Nedashkivska. Alla Nedashkivska is an Associate Professor at the University of Alberta in the department of Modern Languages and Cultural Studies, where she teaches several Ukrainian language and Slavic Linguistics courses. She lives in Edmonton, Alberta. © 2018 The Alberta Foundation for Ukrainian Education Society (AFUES). All Rights Reserved.